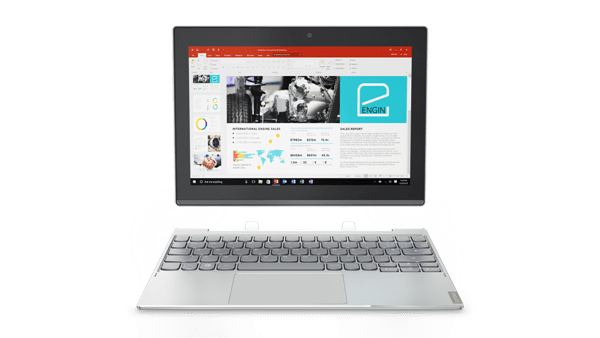 Lenovo has introduced a range of devices- new Tab 4 Series tablets along with Miix 320 2-in-1 detachable notebook and Yoga series of convertible laptops, at MWC 2017. The Tab 4 Series tablets include - Lenovo Tab 4 8, Lenovo Tab 4 10, Lenovo Tab 4 8 Plus, Lenovo Tab 4 10 Plus. All the four tablets come with a 12-hour long battery life and run on Android 7.0 operating system. Furthermore they feature multi-accounts functionality as each individual user gets the choice of customizing the tablet for their own needs, with optional Kid’s and Productivity Packs. The Kids pack will turn any of the above-mentioned Tab 4 tablets into a children’s tablet by putting in adequate content inside, safety tools and advanced parental controls. As the name spells, the Tab 4 8 comes with an 8-inch HD display while the Tab 4 10 comes with a 10-inch HD display. The Tab 4 8 Plus and Tab 4 10 Plus sport a 64-bit Octa-Core 2.0 GHz processor, featuring up to 4 GB RAM and 32 GB storage. There are provisions for USB Type-C, a fingerprint quick-login, Quick Charge 3.0 and a Full HD display resolution on the Plus variants. The Tab 4 8 and Tab 4 10 come in Slate Black and Polar White while the Tab 4 8 Plus and Tab 4 10 Plus are being offered in White and Aurora Black colour variants. The Tab 4 8 and Tab 4 10 would cost €169 (approx. Rs 12,000) and €179 (approx. Rs 12,600) respectively while the Tab 4 8 Plus would ship for €259 (approx. Rs 18,000) and the Tab 4 10 Plus at €299 (approx. Rs 21,000). The YOGA 720 will be available in 13-inch and 15-inch screen variants while the Yoga 520 convertible laptop will be made available with 14-inch and 15-inch screen options. The 15-inch variant of the newly-launched Yoga 720 has been dubbed as the most powerful convertible in its class, by Lenovo. It features seventh-generation Intel processors, Nvidia GeForce GTX 1050 graphics with 4K display resolution and up to 8 hours of battery life. The device will be available with up to 16 GB of RAM. 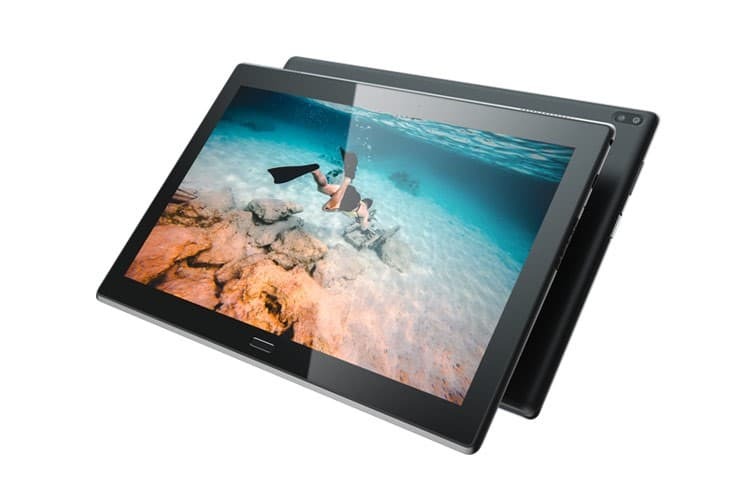 Both the screen variants feature support for Lenovo's active stylus. The 13-inch variant of the laptop sports Intel graphics. True to their nomenclature the laptops come with a 360-degree hinge which allows users to use the devices in tablet, tent, and regular modes as per their requirements. 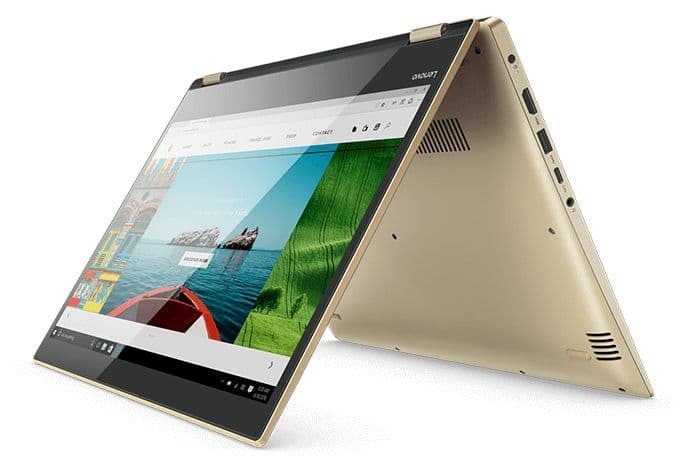 The YOGA 520 will be made available with up to full-HD screen resolution in 14-inch variants and up to 4K display resolution in 15-inch variants. The device will feature up to 16 GB of RAM and up to 1TB of HDD storage or 512GB of SSD storage. 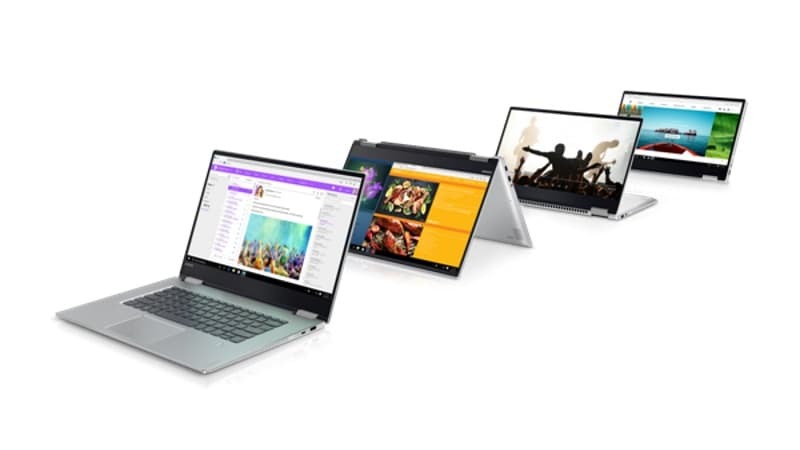 The connectivity options on the laptop include USB Type-C, HDMI port, audio jack, and 4-in-1 card reader. It would be available in Mineral Grey and Onyx Black variants. The 13-inch Yoga 720 starts at €999 (approx. Rs 70,500) and the 15-inch variant starts at €1,099 (approx. Rs 77,500). While the Yoga 520 (14-inch) sells at €599 (approx. Rs 42,200). The laptop device features a 10.1-inch full-HD (1080 x 1920 pixels) display. Powered by an Intel Atom X5 processor it houses Intel HD graphics. 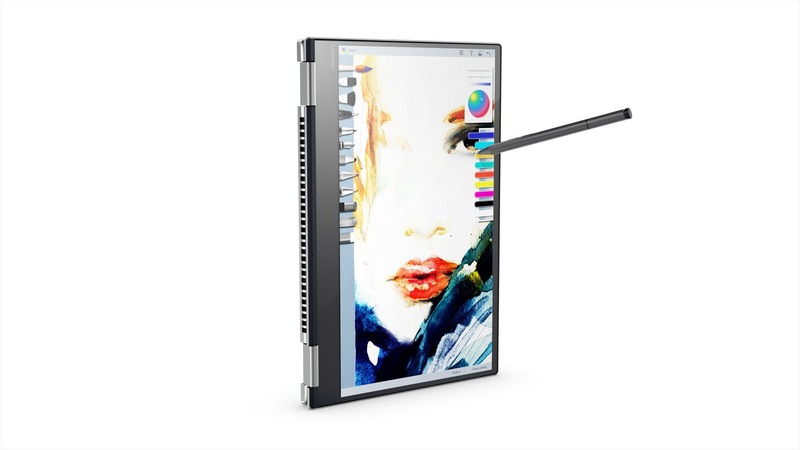 The Miix 320 further sports up to 4 GB of RAM and 128 GB of eMMC storage. It would offer up to 10 hours of battery life, if the company claims are to be believed. The pricing for Miix 320 (with keyboard, Wi-Fi only without LTE) will start at EUR 269 (roughly Rs. 19,000) and for Miix 320 (with keyboard and LTE) it will start at EUR 399 (roughly Rs. 28,200).